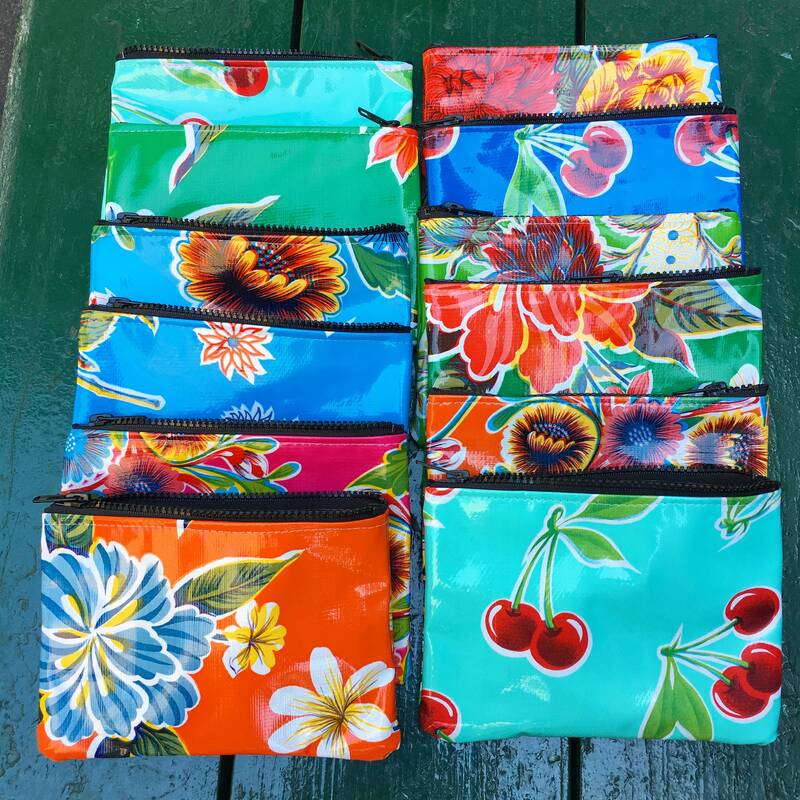 Our oil cloth cosmetic case/coin case is the perfect accessory to help organize your personal belongings. 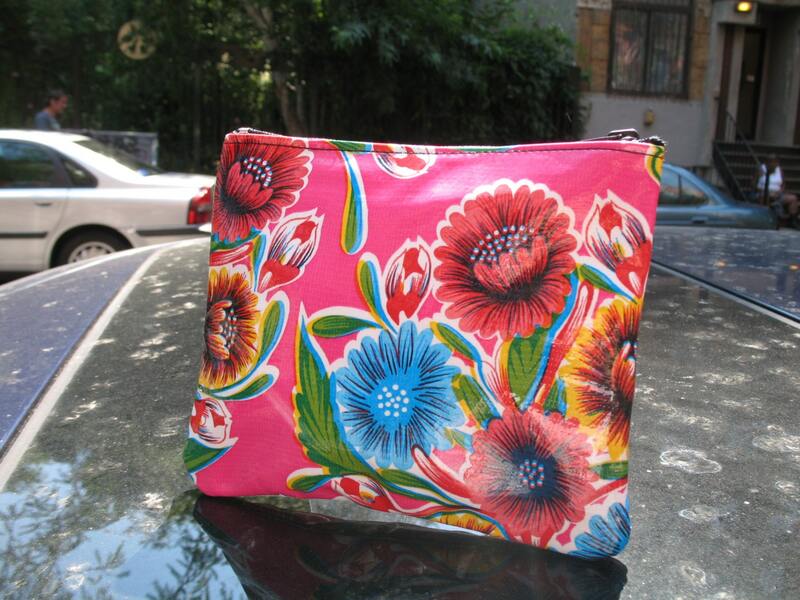 The bright pink floral pattern is sure to brighten up your day! 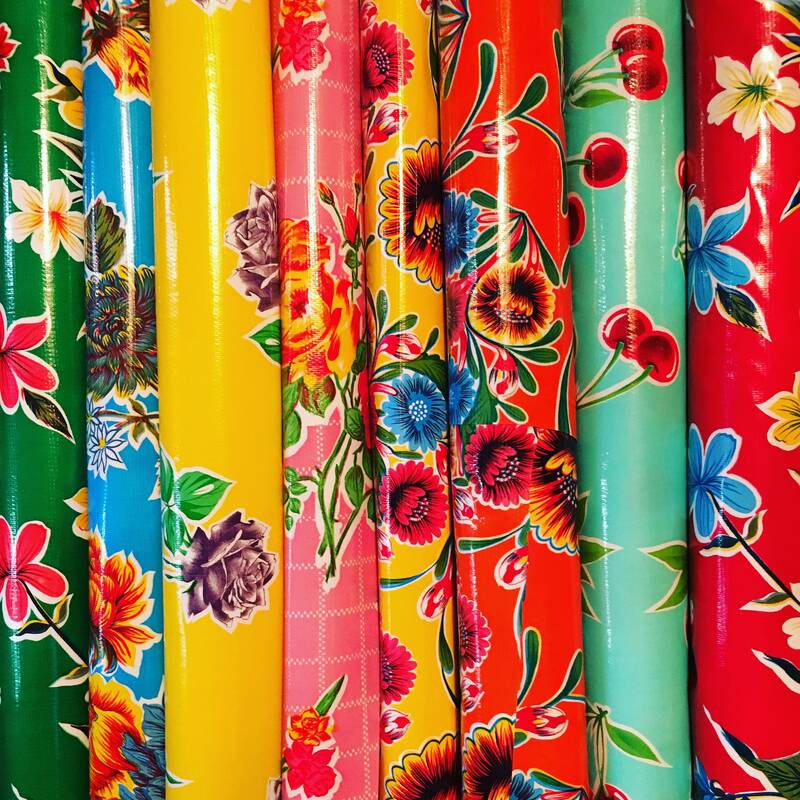 Funky and Fashionable. This zippered case is lined with a lightweight water repellent royal blue canvas. Please feel free to choose another color from photo above.